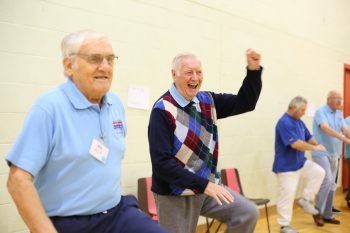 Sporting Chance engages older men in the North East in activity and exercise groups. There is something for everyone from walking football to arm chair exercise, Aquasize to reminiscence sessions, cycling, gym, outings, table tennis and healthy cookery to name but a few. Sessions are welcoming and friendly and always end up with a cup of tea and a chat! The Middlesbrough project was funded by the Big Lottery Fund the project is managed by Volunteering Matters and run in partnership with Middlesbrough Public Health. The Stockton on Tees expansion came about thanks to funding from NHS Hartlepool and Stockton Clinical Commissioning Group – CCG for a one year pilot while the Sheffield expansion came about following funding from the People’s Postcode Lottery and their players. Sporting Chance welcomes men aged 50+ regardless of their age or fitness level. Some of our participants were lonely and isolated, others at a loose end and bored after bereavement or retirement, collectively all of them were looking for ‘something to do’. Men can simply come in to a session and see what’s on offer or, if they have health concerns, they can access Sporting Chance through the G.P. referral system at their local surgery. We are already making a difference; participants report weight loss, reduced medication, improved mood, improved mobility or an overall increased sense of wellbeing. Nearly all participants report increased socialisation opportunities; they ‘get out more; and have’ lots of new mates’. It is easy to get involved; prospective attendees can give us a call or drop us an email and come along and see what we do. If new participants are feeling unsure we have a great band of volunteers who are always welcoming to new men on the project. Some of our participants attend one session a week, others four or five! Taking the first step is the hardest bit. Once you’re in, you are ‘one of the lads’. Come along and see! Sporting Chance supports men aged 50+ to keep active both physically and mentally and creates a strong community to reduce loneliness in volunteers approaching retirement. 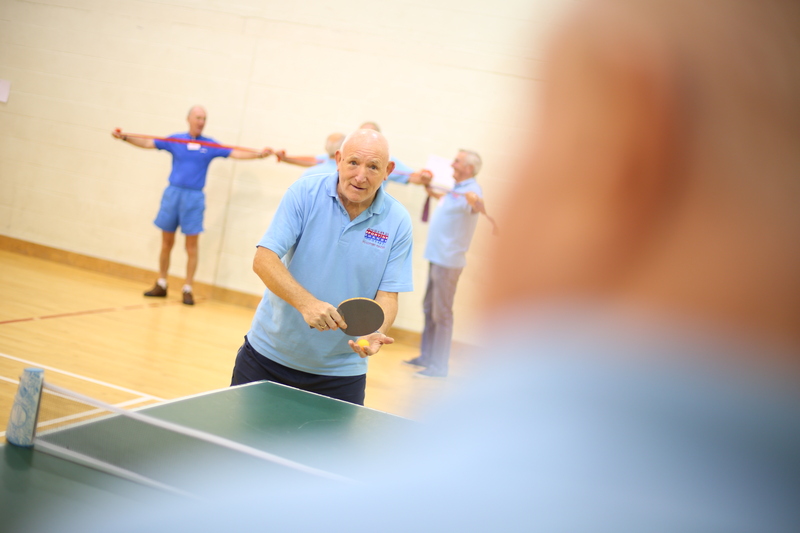 Sporting Chance supports men aged 50+ to keep active both physically and mentally and creates a strong community to reduce loneliness in volunteers.